With more and more orphaned RV’s and the many used RV’s that just need a standardized part at a fraction of the cost of a new one, the Used RV Parts business is flourishing. The challenge for many of us is to find a comprehensive list of potential sources for the parts that are needed. I have compiled a list of sources from many RV groups and forums that I monitor. 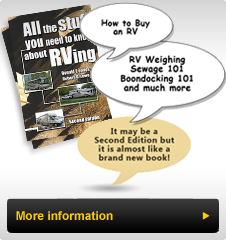 I have also had contact with some of these sources for parts for our RVs over the years. Unfortunately, there does not seem to be a lot of Canadian sources for these parts. I suppose the savings over new that those on the north side of the border will pay, makes up for some of the currency exchange. This list has been organized in alphabetical order by State. Where we had a website for them, or a contact email, we have provided that as well as the city and phone number. Should you discover an error or want to make an addition please email us and we’ll make the correction or addition.